One of a kind hand painted kid's moccasin. 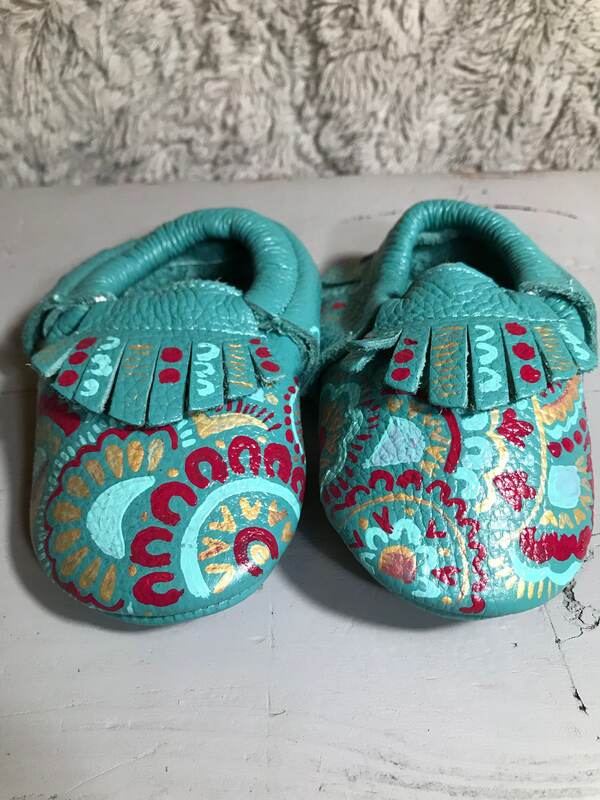 Teal shoe with pink and gold circle bohemian designs. Made from genuine leather - soft sole - comfy and form to fit child's foot! Great for gifts, pregnancy announcements, and baby photoshoots! You will not find anything else like this! All items from Kahli’s Creations are made from the high quality products with love. We love to create one of a kind items! Check out our website, www.kahliscreations.com, for more and be sure to follow us on Facebook and Instagram.